For homeowners who enjoy entertaining outdoors, a prefab BBQ island offers the convenience of an outdoor kitchen at a fraction of the cost. 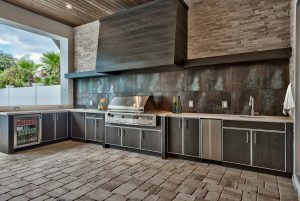 If you are one of those discerning homeowners, our design professionals can custom build the perfect BBQ island to fit your style and exact specifications. 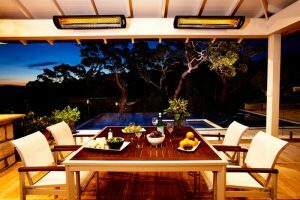 From initial design stages to final installation, Outdoor Living Concepts will guide you through the process of creating the perfect island to complete your dream outdoor kitchen. With over 22 years of experience in the leisure living industry, our design team takes great pride in making certain that all of your specifications are met. 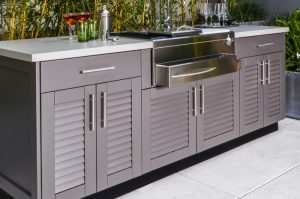 Whether your primary concern is grill size or adequate refrigeration, we guarantee that your prefab BBQ island will meet your highest standards. Visit our showroom in Palm Desert or give us a call today to book your FREE on-site consultation at (760) 772-1182. 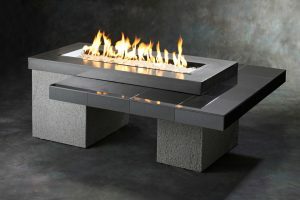 In addition to custom outdoor kitchens, Outdoor Living Concepts offers barbecue grills, prefabricated BBQ Islands, outdoor patio furniture, fire pits & fireplaces and Jacuzzi hot tubs.